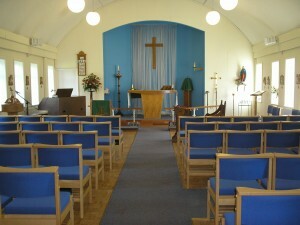 St. Columba’s is a modern, but beautiful church. 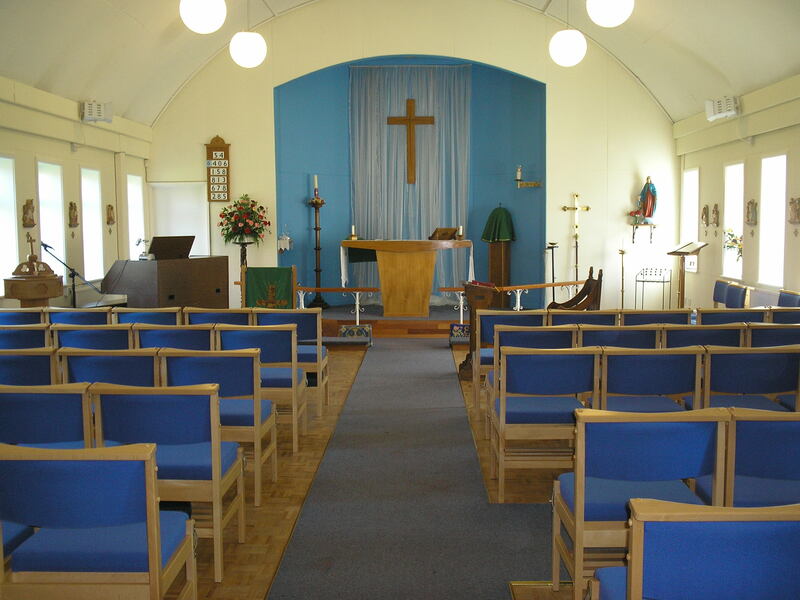 Couples who have been married here have been impressed by the building and tell us that our weddings are warm and friendly, while still providing the feel of a tradition church wedding service and an awareness of God’s presence. 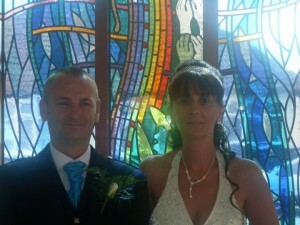 The cost of a wedding at St. Columba’s is around £630. The cost includes service preparation, any order of service sheets, the reading of banns, an organist, verger and rehearsal. You will need to arrange your own flower arrangement, you can use our flower pedestals (2) There are further costs if a video is used. Obviously there are prayers in the wedding service for those to be married and prayers can also be added to include any children already within the family. There are certain times, often on a special wedding anniversary, when it is good to make an occasion out of the renewal of wedding vows. This can take place within a Sunday morning service or at a separate time. The service can be private or as much of a celebration as is wanted. A church blessing after a Civil Marriage ceremony can give an added dimension to a wedding celebration. The blessing can take place immediately after the marriage or some time later and may be in church or at an alternative venue. Charges for the renewal of Wedding Vows and Blessing after a Civil Marriage vary and will depend upon the nature, time and place of the service.